Banish the phrase, “I don’t know” . But saying, “I’ll have to do some research,” or “I know someone that might be able to point me in the right direction,” sounds much better. Make an effort to not ask your peers how something works without reading its documentation first. Present the problem and your solution to it. Anything is possible in this space with proper time, coordination, and effort. Technical debt is the result of decisions that made sense at the time someone made them. You exist because of technical debt. 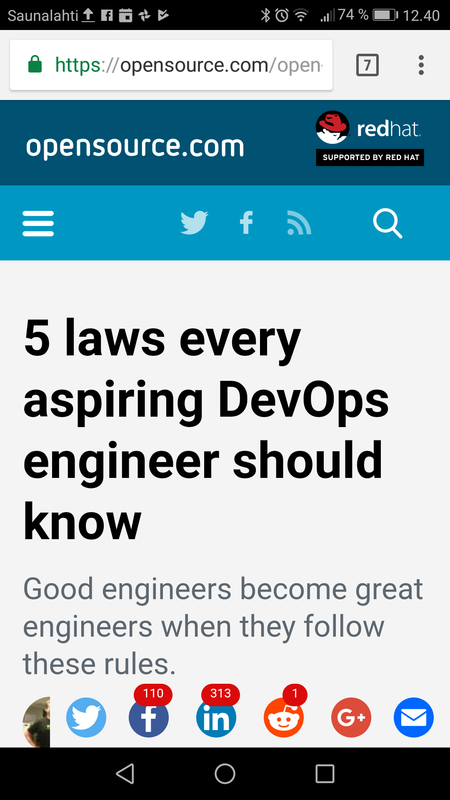 Great DevOps engineers constantly seek answers to questions and solutions to problems.